The big question now is will the taxpayers be roped in to bail out Carillion bearing in mind the tens of thousands of jobs at stake? Well those of us who thought Carillion was simply too big to fail are wrong! The construction giant went into liquidation, threatening tens of thousands of jobs after crisis talks between the firm, bankers and the government failed to reach a deal. The UK’s second biggest construction company racked up massive debts of around £900 million after losing money on big contracts which now means Theresa May’s government will have to provide funding from somewhere to maintain the public services run by Carillion. All employees have been instructed to continue working despite the liquidation news when talks collapsed during the early hours on Monday morning. 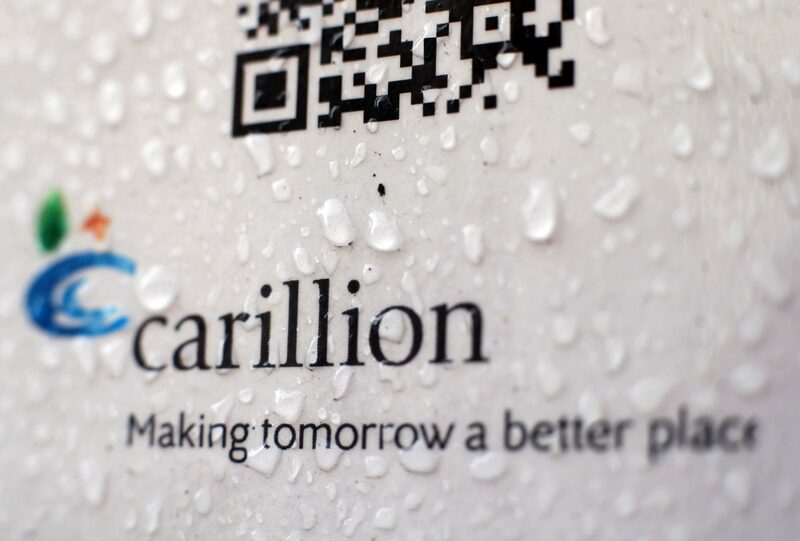 Although refusing on Monday to insure Carillion’s debts it has transpired that the UK Government has shored up Carillion for a while, controversially awarding it contracts while it knew it was in trouble. Today thousands of UK jobs are hanging in the balance as a series of urgent meetings and crisis talks will continue this week after creditor banks including RBS, Barclays, HSBC, Lloyds and Santander refused to continue their financial support. Quite how the construction company racked up debts of around £900m is anyone’s guess but the big banks who met with Carillion bosses over the weekend, clearly have lost confidence. Speculation was rife of a government bail out as Theresa May’s government was relying on Carillion in major public initiatives such as the controversial high-speed rail line HS2, as well as managing schools and prisons. Apart from the high-speed rail line between London, Birmingham, Leeds and Manchester projects involved 50,000 homes for the Ministry of Defence, maintenance services for Network Rail, prison contracts worth around £200 million and the managing of around 900 school buildings. New Tory party chairman Brandon Lewis assured the BBC’s Andrew Marr that contingency plans were being put in place but he refused to be drawn on whether the government would bail out the company. The answer came through during the early hours of Monday when the liquidation news was announced. Meanwhile Labour peer Lord Adonis goaded Theresa May in a tweet saying the government has “got questions to answer about propping up Carillion with contracts long after its problems clear.” Last month he created headlines himself when he stepped down as the head of the National Infrastructure Commission. The big question now is will the taxpayers be roped in to bail out Carillion bearing in mind the tens of thousands of jobs at stake? Carillion debts are thought to be around £1.5bn in total including a £587m pension shortfall. As the UK’s second-largest construction company it employs 43,000 people worldwide, with about 20,000 jobs in the UK.